Much of the country has not moved beyond winter yet, even thought it is almost April. Even here in Houston, us cocktail bloggers are shivering at a brisk 45 degrees at night. Sure, it gets to 75 degrees during the day, but even that's cold for a Houston March. and strain into a chilled coupe. Garnish with a lime or lemon (to distinguish it from a regular daiquiri) studded with cloves. Imbibe says to make a vanilla syrup, but I think it's easier to just put a drop of vanilla in the drink itself. Sure, it's easier to get too much, but you don't have to make a whole cup of vanilla syrup either. You can just use it as you need it instead. It's a great drink. 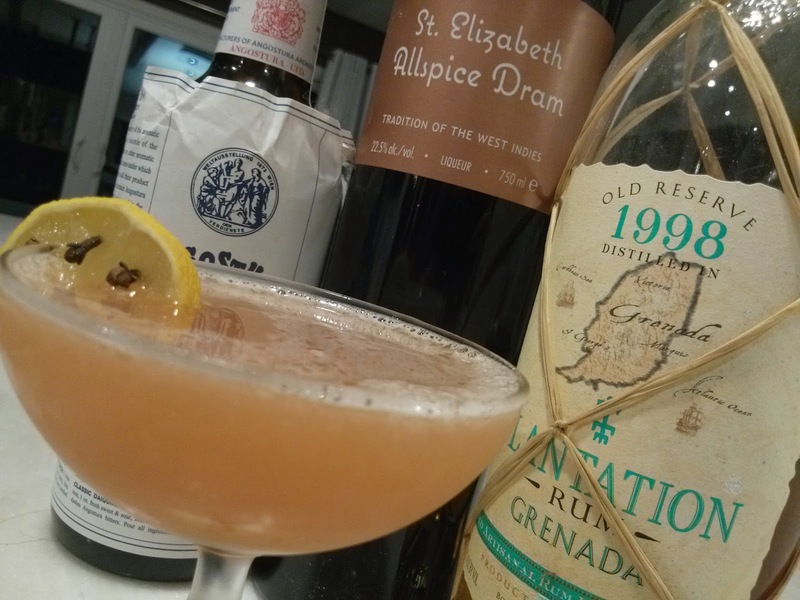 As the name suggests, it is a spicy cocktail, with clove and allspice, and cinnamon, and lime. It would be wonderful in summer, too, let's be honest, but there's something about drinking it on a cold night when the heat still comes on. As if we're dreading when we'll need the air conditioning.